Last chance to see Jersey City Nutcracker 2018: this Friday 12/21! Jersey City Nutcracker Opens Friday! Runs through 12/22. Tchaikovsky's Classic Ballet Re-imagined with Jersey City Flavor! Join us December 11th-22nd for Jersey City's Favorite Holiday Event! • Interactive Pre-show Kids Carnival & Gift Marketplace - begins 45 minutes prior to showtime! Nimbus Dance Works, Jersey City’s celebrated professional dance company, takes the stage with 20 performances of its beloved production, Jersey City Nutcracker. This retelling of the classic tale illustrates two children’s city adventure filled with fantasy, adversity and celebration – all with a Jersey City twist! Choreographed and directed by Nimbus Artistic Director Samuel Pott, this adaptation of Tchaikovsky’s renowned ballet is performed by a cast of professional dancers from Nimbus who portray the Sugar Plum Fairy, the Rat King, the Arabian Princess, Drosselmeyer, and more, joined by youth and adults from the community. With colorful life-size sets, sumptuous costumes, and a glittering tree, youth and adults will be touched by holiday spirit! Surprise guests and local celebrities make unforgettable cameo appearances! Purchase your tickets before prices go up! Jersey City Nutcracker opens 12/11!!! Tchaikovsky's Classic Ballet Re-imagined with Jersey City Flavor! Join us December 11th-22nd for Jersey City's Favorite Holiday Event! 25% Off All Jersey City Nutcracker Tickets! 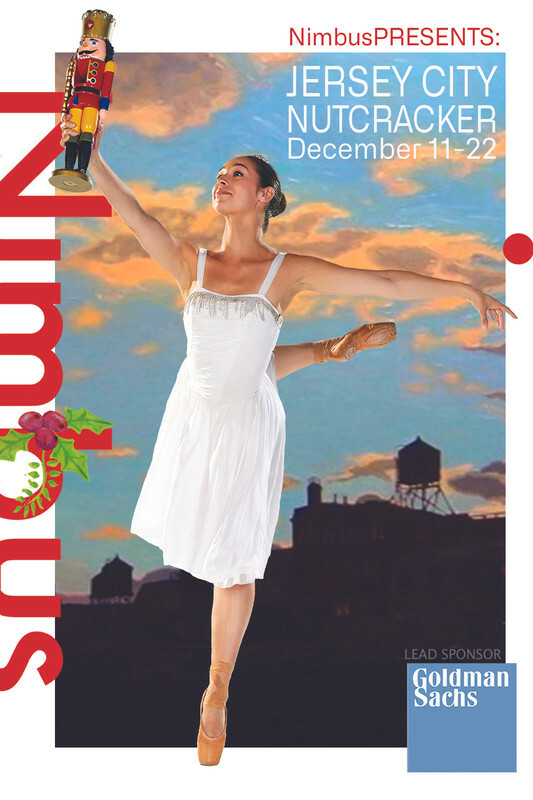 Tchaikovsky's Classic Ballet Re-imagined with Jersey City Flavor - Join us December 11th-22nd! • New for 2018: Interactive Pre-show Kids Carnival and Gift Marketplace! Nimbus Dance Works, Jersey City’s acclaimed professional dance company, takes the stage with 20 performances of its beloved production, Jersey City Nutcracker. 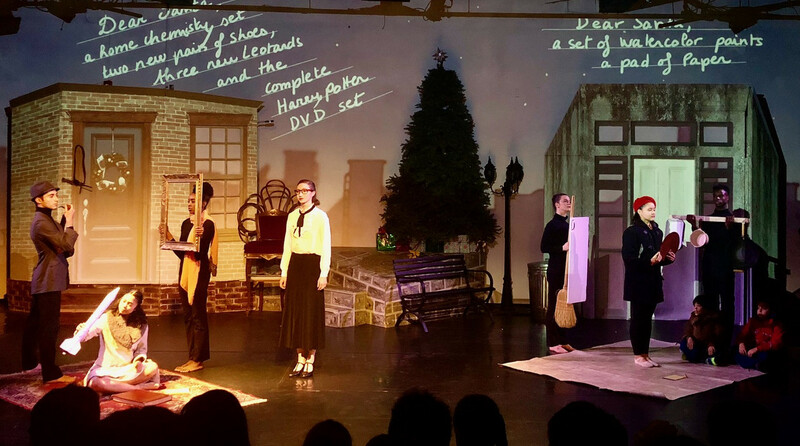 This retelling of the classic tale illustrates two children’s city adventure filled with fantasy, adversity and celebration – all with a Jersey City twist! Choreographed and directed by Nimbus Artistic Director Samuel Pott, the adaptation of Tchaikovsky’s renowned ballet is performed by a cast of professional dancers from Nimbus who portray the Sugar Plum Fairy, the Rat King, the Arabian Princess, Drosselmeyer, and more, joined by youth and adults from the community. With colorful life-size sets, sumptuous costumes, and a glittering tree, youth and adults will be touched by holiday spirit! Surprise guests and local celebrities make unforgettable cameo appearances… Stay tuned!